Malaysia Real Estate Agent / Property Negotiator Aminudin's Property Listings | Realty Appraisal Sdn. Bhd. 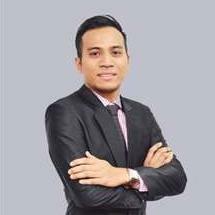 Im Mohd Aminudin .We are dedicated in providing you the Best Service in Buying, Selling or Renting properties, helping you to get the best property deals in the Shortest Time possible, most Effective & Efficiently. Our philosophy Stop selling. Start helping.Always Provide excellent sales service to our client, make your sales transaction a hassle free and enjoyable one.